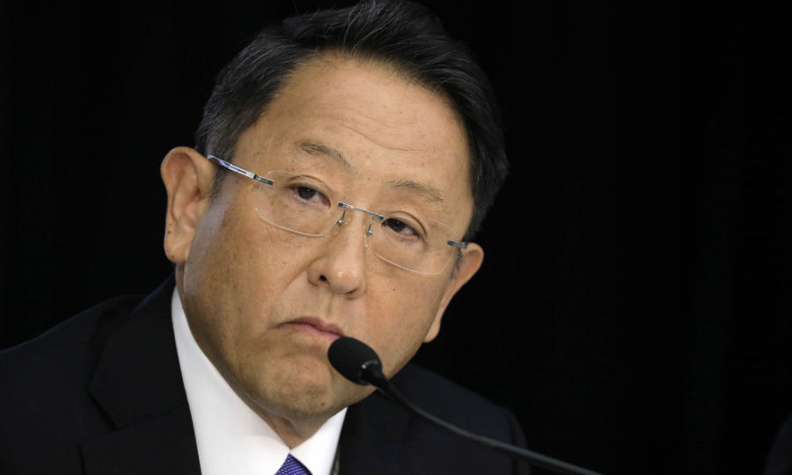 Akio Toyoda: "In sport booking two consecutive years of losses would mean you are failing." TOKYO – Foreign exchange rates and spiraling costs hammered profits at Toyota Motor Corp., derailing Japan’s largest carmaker from a third-straight year of record results and spurring President Akio Toyoda to warn of an impending "sense of crisis." Revenue declined 2.8 percent to 27.60 trillion yen ($248.07 billion). EDITOR'S NOTE: An earlier version of this story misstated the annual revenue figure.